Have you ever wondered what separates a thriving online business from a similar one that is threatened by bankruptcy? Apart from the quality of the sold merchandise and the effectiveness of all marketing strategies used by both Internet-based companies, there is one more factor that influences their levels of popularity and profitability: website design. To create and run a prosperous business, one must start by developing a fully-functional, alluring, properly-optimized website. 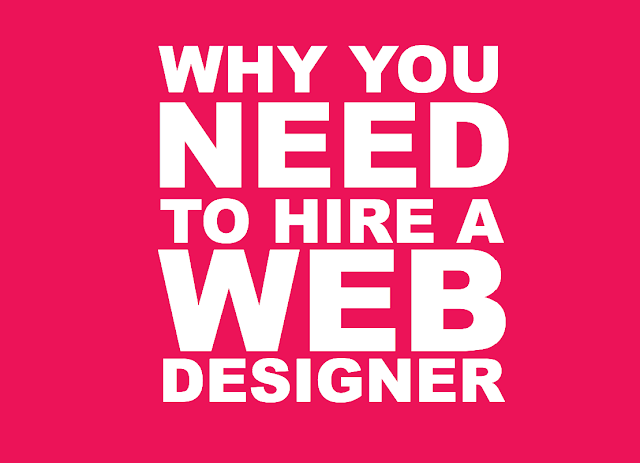 To accomplish this mission, most owners need to rely on professional services provided by an experienced web designer. Here are 5 ways in which a real specialist can help you take your online store to the next level. Clients are now mobile and use a great variety of gadgets to access your website. Regardless of the devices that they use to land on your website, clients want to profit from a flawless, time-effective navigation experience; therefore, a fast-loading site with a simple, intuitive architecture represents a powerful ally for any small business owner. Clients are attracted by original storefronts, but less is sometimes more when it comes to additional design elements that could easily impact the functionality of your website. Colorful design, great graphics, superior loading speed, well-positioned high-quality photos and an ideal balance between pictures and text represent one of the many elements that could bring you one step closer to a larger pool of clients and improved profit margins. To discover which design strategies may work best for you, it is suggested to discuss your options with an experienced designer before making a final call. Make it easy for your buyers to view the items that have been added to their shopping carts. Make it easier for clients to update the content of their shopping carts. Install and highlight the presence of excellent security features. Make sure your advertising and up-selling strategies are not distracting the client when they are checking out. Online stores are so much more than convenient, cost-effective versions of your brick and mortar stores. As long as they are properly developed, customized and maintained, they can become real magnets for different categories of clients who surf the web looking for a variety of products that can be purchased with a few clicks. In most cases, the DIY approach can be quite counterproductive, when it comes to designing your own e-commerce website. Obviously, you know more about your products, mission and vision than anybody else, but you may not be able to choose the best design elements to reflect all these individual characteristics. Your design theme should resonate with your audience. All the design particularities displayed by your website should address the needs and meet the expectations of your well-defined category of potential buyers. If you don’t have any experience in this field of activity, it is highly recommended to let an expert lead the way. By collaborating with a web designer with a solid designing background like Shopify web design expert, you can take pride in a fully-optimized site created to rank higher in search engine results, while complying with the rules and guidelines introduced by Google, Yahoo and Bing. A website that appears on the first page in search engine results has a better chance of attracting an increased number of buyers and crushing the competition. Properly optimized web content is king, enabling you to bring your products in front of a larger audience and win big in the long run. An online store created with help from a team of respectable website designers is always easier to upgrade and maintain. To avoid pitfalls and changes that could stop you from attaining your unique business goals, respectable ecommerce platforms providing hosting services give you the chance to consult an experienced, website designer before making a final decision--when it comes to investing time and energy in an extreme website makeover. So what are your thoughts? Do you think a web designer can really add value to your site?